Returning to MotorLand Aragon and returning to the podium, Davies kick-starts his championship with a hard-earned podium! 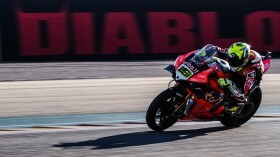 Chaz Davies (ARUBA.IT Racing – Ducati) has returned to podium at one of his most successful circuits in WorldSBK. 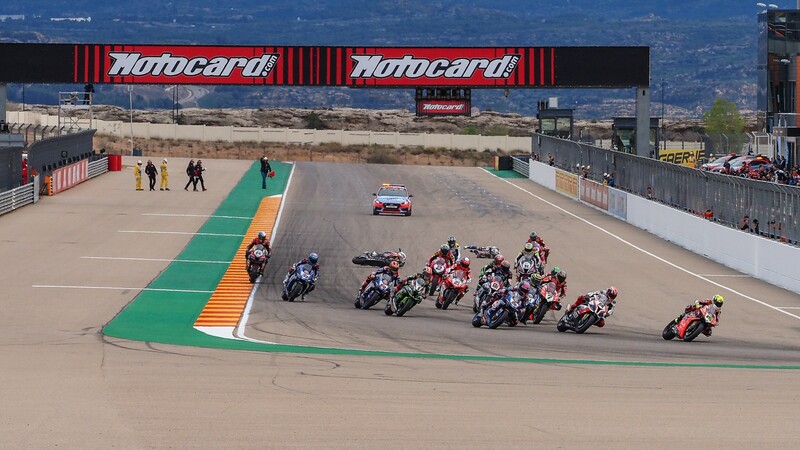 Taking his 80th podium at the MotorLand Aragon circuit, Davies did his customary trick of starting from low down before putting on a spectacular show for the fans, powering through to second position in the opening laps before finishing third overall. 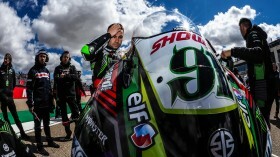 The Welshman, who has enjoyed seven wins at the MotorLand Aragon circuit in the past, had been off the pace up until arriving in Europe and will now look to make further steps to get the better of Jonathan Rea, and eventually his teammate, Bautista. 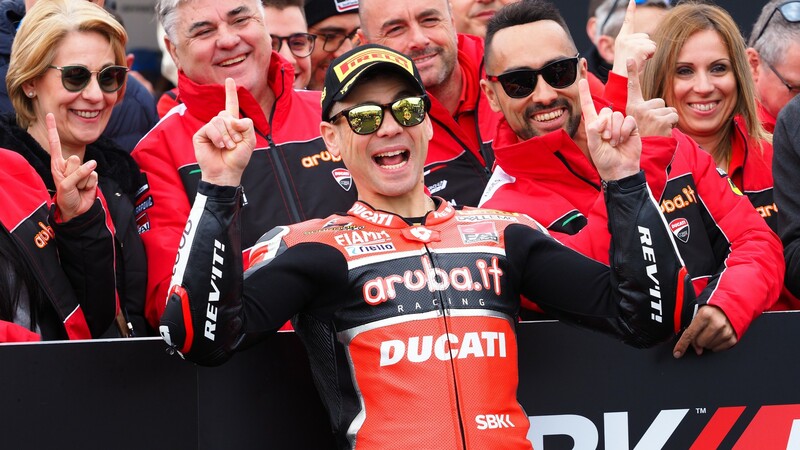 In the first time in almost an entire season, both ARUBA.IT Racing – Ducati riders were on the same podium, having waited since the same round last season to achieve it. 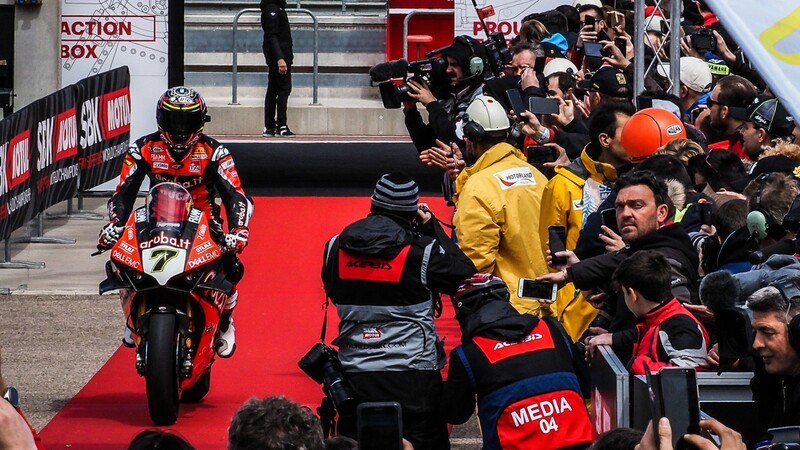 It is Davies’ eleventh podium at the Aragon circuit, more than anyone else. It is also the fifth time he has reached the podium from outside the first two rows, emphasising his race craft and experience, and putting them to good use at the Spanish circuit. Will Chaz Davies be able to mount a similar challenge in the sprint race? Find out with the WorldSBK VideoPass!